You wish to be informed about our latest product news and events? You will receive our news 2-4 times per year (cancellation of your subscription is possible at any time). Your email and contact data will only be used for our newsletter and will not be forwarded to any other company. Webinar with ARM and Wind River "Automotive Safety from the Ground Up: Hardware, OS and Static Analysis"
There are various software systems in a car, each with different security and safety requirements. In the webinar ARM, Wind River and GrammaTech highlight the capabilities on offer that help to build complex safety critical software systems. ARM provides an overview on how their IP portfolio and the Arm Safety Ready Program enable customers to achieve functional safety. Wind River covers their operating system layer and how VxWorks works. This scalable, safety certified real-time operating system can provide OS features and flexibilities such as virtualization, in safety certifiable configurations. Finally GrammaTech outlines how CodeSonar’s static analysis for source and binary helps write secure software. 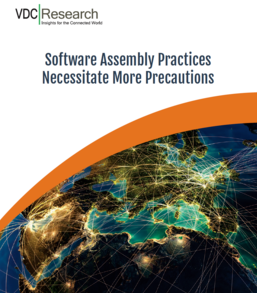 Furthermore, the section provides an overview on how the Tool Safety Manual, generated by CodeSonar’s Qualification Kit, guides users of static analysis in their safety argumentation. Software development and quality managers that are looking to measure the benefit of static analysis can now use BugInjector, a tool that can inject Common Weakness Enumeration (CWE) based bug patterns into existing code bases, thus delivering real-world benchmarks. 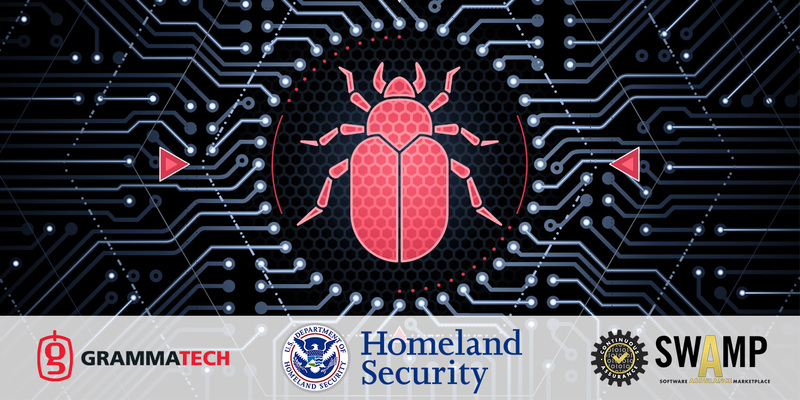 This independent real-world benchmarks have been created by GrammaTech under contract for the Department of Homeland Security (DHS) Science and Technology Directorate (S&T) and are now available in the Software Assurance Marketplace (SWAMP) at no cost. "There is an urgent need for benchmarks, such as those from GrammaTech, to allow software developers to evaluate static analysis tools in a comprehensive and real-world setting," says Barton Miller, Professor of Computer Sciences at the University of Wisconsin – Madison and Chief Scientist of SWAMP. "Also, developers of static analysis tools now have the ability to enhance their tools or benchmark new static analysis technologies with realistic test cases. Integrating these benchmarks into the SWAMP platform increases their effectiveness and availability." The Role of Static Application Security Tools (SAST) in DevSecOps is an article which explains the role of static application security tools (SAST) such as GrammaTech CodeSonar and how they can be used in Dev(Sec)Ops and continuous development pipelines to improve quality and security. An other GrammaTech post with the title How Does the OWASP Top 10 Apply to C/C++ Development? shows a top ten list of the most critical web application security risks and how static code analysis helps to avoid this risks. GrammaTech announced that it has been awarded a $8.4 million USD, 4-year contract from Defense Advanced Research Projects Agency (DARPA), an agency of the U.S. Department of Defense, to develop technology that generates and deploys secure configurations to commercial off-the-shelf (COTS) equipment rapidly and largely autonomously. Microsoft Visual Studio is still a dominant IDE for developers of C, C++, Visual Basic and C# code. It is also a popular for general C/C++ development even if the target application isn’t a Windows or .NET application. In fact, along with Eclipse, it’s a development environment in demand. Software teams that build safety and security critical systems using Java, C#, or Android can now benefit from high recall, high precision, advanced static analysis. GrammaTech today announces support for these platforms thanks to the integration of the advanced static analysis engine Julia from JuliaSoft into GrammaTech CodeSonar. Today’s software projects are utilizing more and more languages. An IOT device may use C/C++ for the safety critical programmable logic control, while it uses Java to provide a flexible user interface. A medical device may use C inside a pacemaker or an infusion pump, but use C# or Android to provide a familiar user interface to end-users on top of mobile devices. Integrating Julia into CodeSonar provides high recall, high precision, advanced static analysis of multiple languages into a single user interface complete with team collaboration and visualization tools, making it easy for software development teams to deliver better software faster all the while reducing cyber security risk. 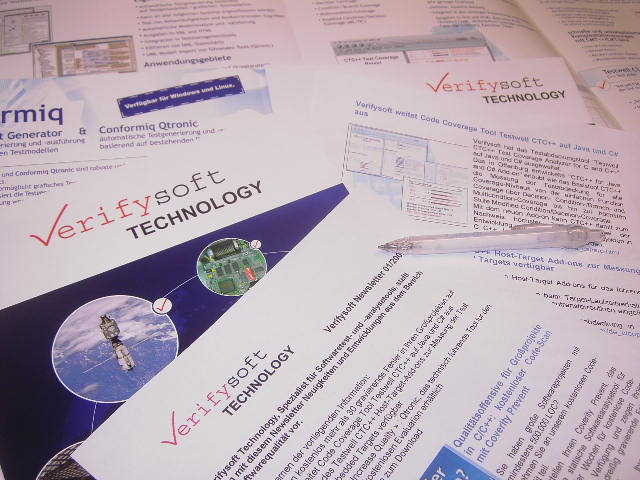 About JuliaSoft: JuliaSoft is an innovative technology company specialized in software verification. Born as a University of Verona spin-off company in 2010, since June 2015 JuliaSoft is part of Corvallis Group, one of the top Italian IT service companies. As Static analysis tools are now very widely used, there is an increasing need to foster their integration with other software development tools. Supported by the Static Analysis Tools Modernization Project (STAMP), GrammaTech is committed to working on SARIF (Static Analysis Results Interchange Format) and SASP (Static Analysis Server Protocol. SARIF was originated at Microsoft, and is now a standard being developed under OASIS. This exchange format in JSON is designed to communicate not just results, but metadata about the tool, how it was invoked, timestamps, and so on. SARIF is a very useful standard, but it is oriented towards batch execution of analysis tools. In order to encourage tools to communicate actively, a protocol is needed. GrammaTech is proposing SASP (Static Analysis Server Protocol) to fill this gap. Crank Software's products and services enable R&D teams and user interface (UI) designers to quickly and collaboratively develop rich, animated UIs for resource-constrained embedded devices. 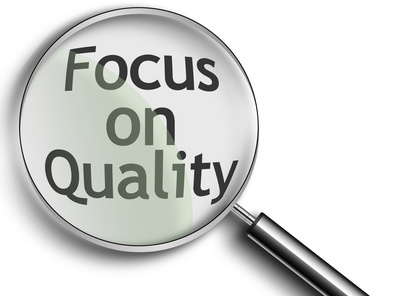 Software quality and security are paramount for Crank Software. In addition, they must deliver their software with the same level of quality on over 55 different target hardware platforms. In order to achieve their quality goals, Crank Software’s development team is using CodeSonar’s advanced static analysis capability to help find and fix quality and security issues within their code. In particular, they were looking for tools that could be dropped into their process and would quickly create improvements. Crank’s development teams integrated CodeSonar into their production process, static analysis is used as soon as code is created or changes are made. Since issues are being caught and fixed very early in the coding process, they are seeing quantifiable results. CodeSonar is well suited for analyzing code right as it understands the code given sufficient information such as header files for the embedded OS. As a result, of their use of CodeSonar they’ve also improved their end product and Crank Software is better-positioned for the certifications needed to drive greater adoption. Click here to see all new features of CodeSonar 5.0. GrammaTech, a leading developer of commercial embedded software assurance tools and advanced cybersecurity solutions, announced today that it has been awarded a $6.2 million, 4-year contract from Defense Advanced Research Projects Agency (DARPA), a division of the U.S. Department of Defense, to perform research and development into cutting-edge techniques for creating safe and reliable autonomous software agents that can effectively counter botnets and large-scale malware. The goal of GrammaTech’s contribution is to create an automated neutralization system to improve reaction time of malware interception, thereby autonomously decreasing a botnet's impact. This technology will identify infected devices, and then deploy neutralization agents without requiring the system to be taken off-line. 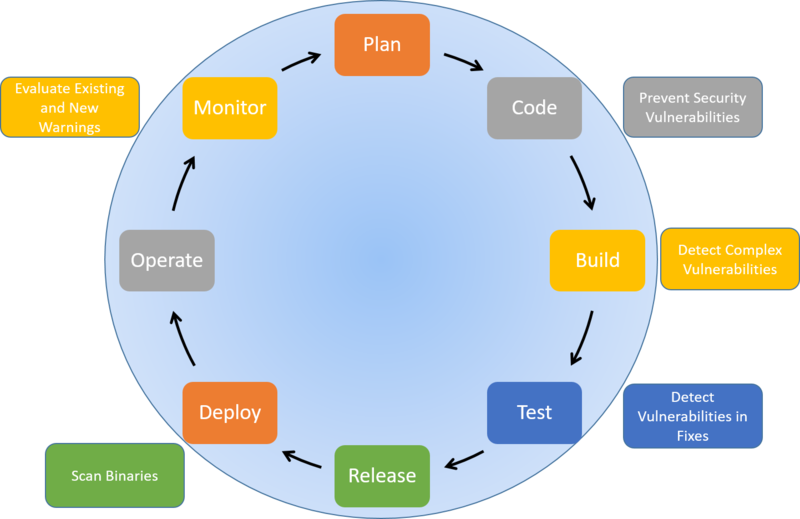 People often connect safety and security with archaic development methodologies: strict processes, long development times, big budgets and waterfall development starting from requirements. However, that is no longer the case. Yes, developing safe and secure software takes more time and more skill. Today, we can now be agile, innovative, safe, and secure at the same time. And this is crucial, embedded software is taking a more critical role in our lives and we need that software to be developed quickly, securely and safely. AFuzion and GrammaTech have been in the trenches with developers building hundreds of systems that control aircraft, power and water, cars, industrial automation, electricity delivery, trains, and many more. 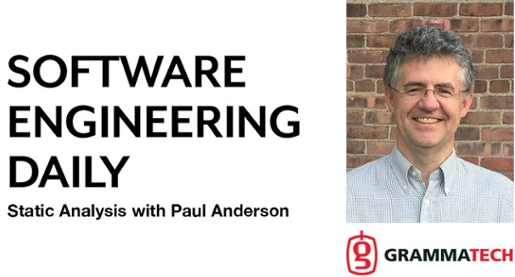 In this webinar, the leader in safety training and consulting and the leader in static analysis for embedded will walk you through how to combine the V-model with Agile development and how tooling can assist in making safe development easier on your team. Taint data does not only enter the system via familiar programs. A small gap like the current bug in the Linux-tool beep.c is enough. These security gaps are often not recorded by the testing-radar. However you can detect them. The error in beep.c was deteced with the static analysis tool GrammaTech CodeSonar. Read the whole article from the GrammaTech Blog here. There is an online training for GrammaTech CodeSonar available. You have 24 hours per day, 7 days a week access to helpful webinars and tutorials 24 hours per day. The price for this training depends on the license and the amount of users. Static analysis is typically used to find errors in software, often serious bugs, such as buffer overruns that lead to quality or security issues. As the static code analysis tool GrammaTech CodeSonar parses the exact same source code that the compiler uses to create the final executable, the tool can be used for optimizing the performance of your application. Royd Lüdtke, director for Static Code Analysis at Verifysoft Technology, explains how GrammaTech CodeSonar can be used for performance optimization. 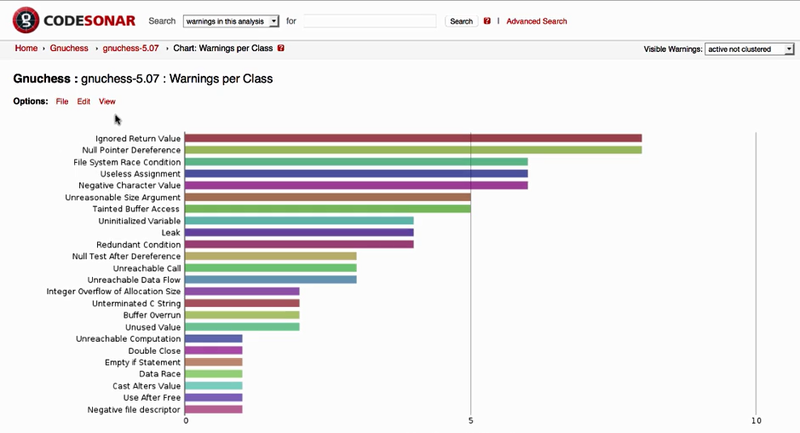 New Webinars: "What's New in CodeSonar?" and "Static Analysis for Automotive"
What's New in CodeSonar? : Learn what is new in CodeSonar 4.5 and how you can benefit from these new features to improve your static analysis capability. New features covered will be: Objective C, Compiler Models for IAR and Embarcadero, Insider Threat Checks, Floating Point Support, Python and C++ API, IPv6 Support, CWE 3.0 Support, CodeSonar/Libraries, Assign2Author Integration. Register now for GrammaTech's webinar on Wednesday, April 4th 2018 (3:00 PM CET, Berlin, Paris). Static Analysis for Automotive: When people talk about static analysis for automotive application the term MISRA-C immediately pops up. However, MISRA is only one part of static analysis, especially when the automotive supply chain is involved. Tier 1 suppliers integrate technologies from other parties, this technology often involves software, often in the form of binaries. This impacts static analysis. Doing advanced static analysis for automotive means that you can perform static analysis when libraries from your suppliers are present. 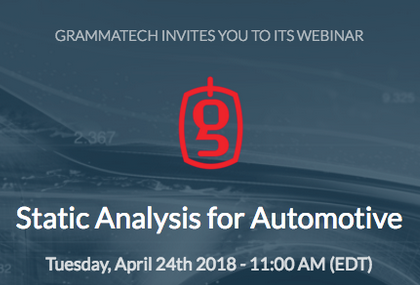 This webinar looks at how GrammaTech CodeSonar can help automotive suppliers perform advanced, whole program static analysis in the presence of libraries from lower tiers. Register now for GrammaTech's webinar on Tuesday, April 24th 2018 - 5:00 PM (CET, Berlin, Paris). 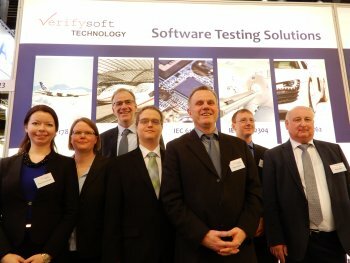 At the 2018 edition of Embedded World, Verifysoft Technology and it’s partner GrammaTech showed the latest evolutions of their software testing tools for Static and Dynamic Code Analysis. One of the innovations was a new user interface for the Code Coverage Analyser Testwell CTC++ which allows to switch between different Coverage Levels. GrammaTech CodesSonar checks now also binary libraries which are commonly used in embedded development. Development teams are utilizing legacy code, open source, 3rd-party, and new proprietary code, to develop software for new devices that are being deployed to highly connected ecosystems, exposing them to new risks – including serious cyber threats. Thanks to the Binary Analysis, GrammaTech CodeSonar increases now the security of this software significantly. GrammaTech is working on a groundbreaking technology that combines static and dynamic analysis techniques. A completely new plug-in for CodeSonar which detects state violations during host-based testing by analyzing memory usage will be available later this year. For developers, this means more efficiency, less security risks, and shorter time-to-market. Learn more and watch our video here. GrammaTech will soon release two new tools available to find more bugs earlier, and fix them quicker: CodeSonar/Libraries and CodeSonar/X. CodeSonar is the first static analysis tool that can extend source code static analysis into libraries that are only available in binary form through its CodeSonar/Libraries plugin. The tool adds the capability to seamlessly switch between source and binary analysis as it examines possible paths through the program. This results in a net increase of the number of problems detected in the user’s source code. Many software development projects use binary libraries with content from third party vendors, or from existing legacy code. Examples of these include firmware, operating system libraries, graphical user interface subsystems, or middleware layers such as CORBA, DDS, MQTT or others. CodeSonar/X is a ground-breaking new capability connecting static analysis with dynamic analysis to help software developers improve efficiency, further reduce risk and decrease time-to-market. This plug-in for GrammaTech’s CodeSonar reports state corruptions during host-based testing by monitoring memory access. It combines static and dynamic violations and reports them in the CodeSonar User Interface, helping engineers correlate and prioritize. CodeSonar/Libraries is available now, with CodeSonar/X following later this year. The VDC report entitled "The Global Market for Automated Software & Security Testing Tools" states that the market for testing tools is increasing and that software developers are accepting the fact that finding and fixing bugs and security vulnerabilities early has huge benefits in terms of cost, time and product quality and security. According to the report, 82.3% of static analysis tools used in the enterprise and IT market, as well as 45.5% in embedded and IoT market, are focused on security. Unfortunately, despite this growth, security risk mitigation is still not being addressed enough in embedded projects. Only 22.9% of embedded/IoT engineers is not taking any actions to address potential issues on current projects. It is important that embedded and IoT manufacturers take more action on securing their devices. 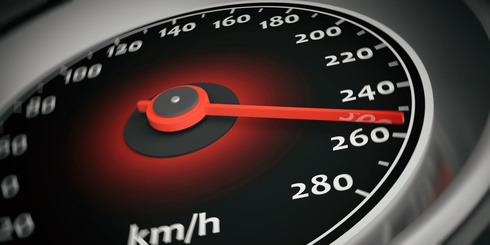 The VDC report has numerous findings about the automated testing market as a whole. The re-use/use of third party code in embedded projects continues to grow and the adoption of binary static analysis, although initially small, is growing rapidly. 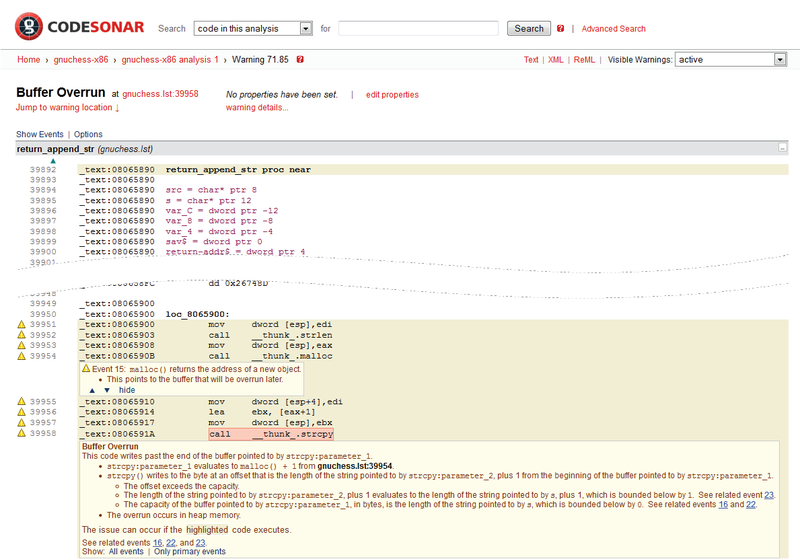 Version 4.5 of the Static Code Analysis Tool GrammaTech CodeSonar is now available. The new version comes with a rapid development environment, new secure coding checkers to thwart cybercrime, and an improved floating point support. CodeSonar 4.5 brings a comprehensive set of enhancements and a host of new features to software teams seeking to improve their secure software development lifecycle (SDLC). C++ and Python APIs which have been introduced in the latest version help software teams to rapidly build domain specific checks to express their design invariants for CodeSonar to evaluate. An API is also available to quickly add support for new compilers. Improved floating point support allows CodeSonar to find more defects in code paths that rely on decisions involving floating point computations. In order to help combat the rise of cybercrime within companies, new checkers detect malicious code that has purposely or inadvertently been added into code. 32% of attackers are insiders and 24% are “inadvertent actors” (e.g. people making mistakes that lead to a system breach or incorrect behavior) according to an IBM study. Suspicious code is highlighted by the new checkers before it can pose a problem in deployed systems. A 30-day free trial of CodeSonar 4.5 is available on demand. GrammaTech has released CodeSonar for Objective-C. Whith this release GrammaTech CodeSonar performs static analysis on the C part of Objective C. Objective-C is a very dynamic language that is based on message sending and these concepts are not validated by CodeSonar. However, if you have a buffer overflow, null pointer dereference or something like our normal C checks inside these functions, then CodeSonar will provide a warning. If you want to evaluate GrammaTech CodeSonar on your Objective-C code, please contact us. After a brief introduction to static analysis, Paul discuss various topics related to static analysis. Topics include: use cases for static analysis, an introduction to binary code analysis and a discussion of the trade offs necessary between precision, recall and performance. Paul also provides some interesting examples of where static analysis has found some really hard-to-find bugs in software. Wrapping up the talk, Paul discusses GrammaTech's recent accomplishments at the Cyber Grand Challenge. 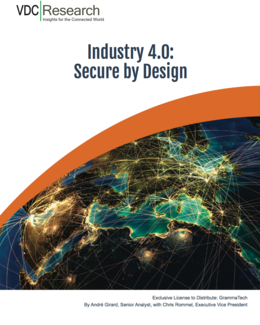 As more companies have Industry 4.0 initiatives underway to refine and accelerate the realization of the smart factory vision, new data from VDC research indicates that these systems and software teams aren't taking enough precautions for security protection. VDC recommends adopting a "secure by design" approach, which includes ensuring the quality and security of increasingly-used open-source, re-used, and third party code. An automated tool like CodeSonar, that can analyze both source and binary code to find defects and security vulnerabilities, is increasingly important as software development shifts to this new approach. Read the VDC Report here. Static analysis tools ship with a default set of error checkers that cover the most common and important types of errors. However, projects often benefit from specific checks that apply to their domain such as very specific coding standards, correct usage of API functions, and security guidelines. Advanced static analysis tools have the capability to create custom, domain specific, checkers via various means including programming to an exposed API. As IoT fuels faster software development, new data from VDC research indicates that software teams aren't taking enough precautions for security protection. VDC found that 24% of developers are not doing anything to respond to security requirements, and found another (thankfully smaller) segment that don't even know whether or not they are doing anything at all! VDC recommends adopting a security-first design approach, which includes ensuring the quality and security of increasingly-used open-source, re-used, and third party code. An automated tool like CodeSonar, that can analyze both source and binary code to find defects and security vulnerabilities, is increasingly important as software development shifts to this new approach. You are using „beginner-tools“ like PC-Lint or Cppcheck for the Static Code Analysis of your software? GrammaTech shows you in a 4:38-minutes video the advantages, which Advanced-Static-Code-Analysis with GrammaTech CodeSonar provides you, compared to a „simple“ analysis. > Watch the video here! 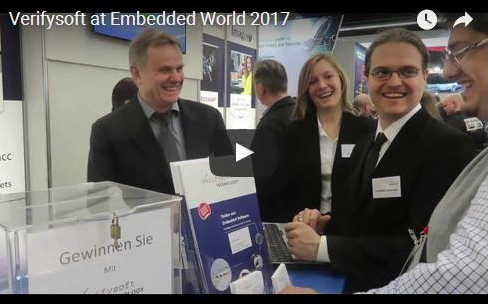 Verifysoft exhibited at Embedded World 2017: Watch our Video Now! More than 30,000 visitors from 73 countries came this year to the Embedded World Nuremberg in Germany. As every year since 2005, Verifysoft Technology presented best in class software testing tools. Verifysoft's Software Testing Solutions meet the requirements of standards like DO-178C, EN 50128, IEC 61508, 62304 or ISO 26262 and are used in safety and security critical projects. We provide testing tools for Static analysis, dynamic analysis and for code coverage. GrammaTech today announced the availability of the CodeSonar Risk Dashboard in CodeSonar 4.5. This new version of the leading static analysis tool will be released in the second calendar quarter of 2017. The Risk Dashboard is a new capability which provides executives with an immediate read-out of the level of outstanding security risks in their projects. It provides the data needed to improve decision-making concerning security investments. The Risk Dashboard supports both source and binary analysis. It can be used to measure risks during the software development phase and in deployment environments. GrammaTech was named to CIO Review Magazine’s list of 50 Most Promising IoT Solution Providers of the year for 2016. The list of companies was selected by a panel of experts and members of CIO Review’s editorial board; GrammaTech’s IoT solutions were selected based on their ability to deliver exceptional value in today’s IoT-driven marketplace. Derived from deep innovation and intensive research in software analysis and software hardening, GrammaTech’s solutions are designed to address today’s most challenging software issues. Today, more systems are controlled by software, more devices are connected, and more software is susceptible to attack. Developers need better tools to be able to deliver connected devices that are secure. Unlike other traditional tools vendors, GrammaTech’s mission includes a research arm with over 20 PhDs focused on advancing the state-of-the-art in software analysis and protection. Through highly innovative research programs advancing techniques and technologies in software analysis, transformation, monitoring, and autonomic functions, GrammaTech’s software scientists are solving the software issues impacting the embedded, M2M, and IoT equipment markets. New versions of FindBugs and PMD introduce many new warnings for Java. 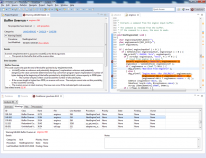 Compiler vendor extensions including Microsoft Visual Studio 2015 toolchain. GrammaTech was recognized in the Silicon Review as one of the 50 Smartest Companies of 2016. Silicon Review is a preeminent business and technology magazine for tech decision makers and enterprise IT professionals. GrammaTech was selected among companies around the world with software solutions that drive business value in the evolving technical IoT landscape. GrammaTech excels with strong software assurance innovations in static analysis of source and binary code. GrammaTech’s software scientists are pushing the boundaries of software analysis and hardening techniques and technologies with the objectif of helping commercial manufacturers eliminate critical software defects from increasingly complex IoT device software. GrammaTech CodeSonar 4.1 has been certified by the Certification Body for Functional Safety of SGS-TÜV Saar GmbH. The certificate covers the standards ISO 26262 up to ASIL D, IEC 61508 up to SIL 4 and EN 50128 up to SW-SIL 4. CodeSonar is one of the leading tools for static analysis. It identifies bugs that can result in unexpected behavior, system crashes and security breaches. CodeSonar has been proven to provide the deepest static analysis. The tool finds more critical defects than other static analysis tools on the market. CodeSonar has performed best on several static analysis tool benchmarks in finding static memory, resource management, concurrency, and other defects. GrammaTech has begun work on PLINY, a joint effort among GrammaTech and three Universities, with the goal to automatically detect program defects, suggest program repairs, and complete program drafts. PLINY is part of DARPA´s (Defense Advanced Research Projects Agency) Mining and Understanding Software Enclaves (MUSE) program. This initiative seeks to gather hundreds of billions of lines of publicly available open-source computer code to mine in an effort to create a searchable database of properties, behaviors, and vulnerabilities. More and more customers from Aerospace, Automotive, Medical, Military, and Telecom Industries rely on the expertise of GrammaTech´s CodeSonar, a leading Static Code Analysis tool. Today GrammaTech announced a 60 percent increase in annual sales for its fiscal year, which closed on July 31. 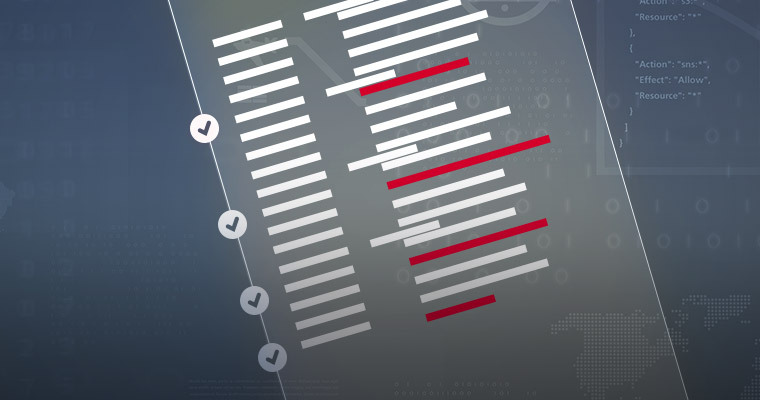 GrammaTech´s success has been driven by new capabilities in CodeSonar for achieving standards compliance, eliminating multi-core issues, analyzing third-party code as well as improving software security by addressing dangerous information flows. 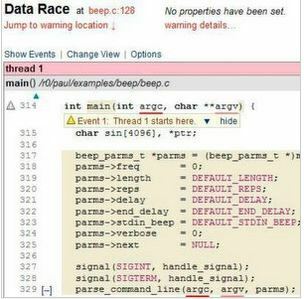 CodeSonar is designed for failure-intolerant embedded environments. The tool analyzes both source code and binaries and identifies serious security and quality liabilities. Vulnerabilities, system crashes and unexpected behaviour at runtime as a result of e.g. memory corruption, leaks, data races, and other bugs can be avoided early in the development process. For companies, which would like to increase their software quality, we propose static analysis by CodeSonar. Please ask for a free evaluation and get informed about our interesting license models. Royd Lüdtke joins Verifysoft as Director Static Code Analysis Tools. Prior to joining our team, Royd Lüdtke held positions as application engineer and consultant with several companies and research institutes like New Era Of Networks, Sybase, Rogue Wave Software and Fraunhofer Institute. He studied Electrical and Power Engineering in Dortmund (Germany). Royd Lüdtke was granted several patents. He is also author of a couple of IT related publications. Mr. Lüdtke will oversee pre-sales and support activities for GrammaTech CodeSonar in German speaking countries. GrammaTech CodeSonar, has been certified for use in the development of safety-critical software according to several international standards: ISO 26262, IEC 61508 and EN 50128. These three standards were designed to define the functional safety of electronics throughout their life cycle within automotive systems, medical devices, and railway applications, respectively. CodeSonar has now been independently audited by SGS TÜV Saar GmbH and subsequently awarded a certificate confirming it is approved for developing software for these safety standards. GrammaTech announced the commercial availability of CodeSonar 4, the latest version of the company's flagship software analysis tool. CodeSonar 4 includes new capabilities for analyzing third-party code, achieving standards compliance, eliminating challenging multi-core issues, and improving code security by addressing dangerous information flows. CodeSonar advances the state of the art in automated code analysis to help embedded development teams improve code quality and safety while accelerating time-to-market. 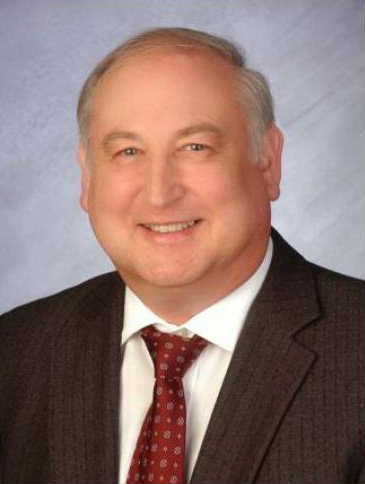 GrammaTech, Inc., announced that Europe´s foremost thought-leadership academy, the Academia Europaea, has elected Dr. Thomas Reps, President and Co-Founder of GrammaTech, to be a foreign member in the Informatics division. Academy members rarely include scholars who are residents in other regions of the world. Only nine from 3,000 members of the Informatics division are from the United States. "The invitation by Academia Europaea honors Tom´s ground breaking research on automated program analysis, computer security, and model checking based on his work at University of Wisconsin and GrammaTech," stated fellow member of the academy, Prof. Dr. Dr. h.c. Reinhard Wilhelm of the Saarland University in Saarbrücken, Germany. The Academy´s mission is to encourage the highest possible standards in scholarship, research, and education, while promoting interdisciplinary and international research in all areas of learning. GrammaTech has been selected by the U.S. Navy to develop a tool that will provide computer systems with the ability to understand and react to malicious attacks, and then continue running safely. In this project, GrammaTech researchers will use a combination of automatic program analysis and manual tuning techniques to develop a tool for creating a model of a system´s intended behavior, capturing its most important properties and determining what low level events must be tracked in order to observe the system´s critical behavior. The development of this tool will provide security-critical systems with an extra layer of protection against attacks, including attacks that don´t involve unusual system call activity. The technology will be immediately useful to branches of the government, financial institutions, and any companies whose systems require strenuous security protection. GrammaTech CodeSonar will be integrated with the Eclipse IDE. This integration will provide developers with the ability to correct programming defects found by CodeSonar without leaving Eclipse. 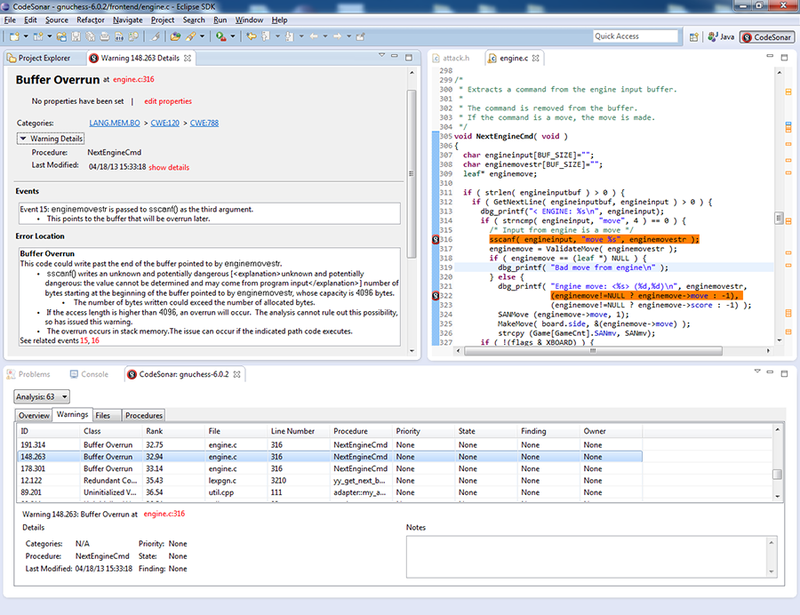 Developers can use CodeSonar´s Eclipse plug-in to run a CodeSonar analysis from within Eclipse, allowing them to examine their code on the desktop and fix issues before check-in. Results are automatically synchronized with a central server running at the customer site, enabling the development team to manage results in a coordinated way. For example, when a user categorizes a defect warning as a high-priority issue, the categorization is propagated to the rest of the users. Users can also compare the results of different analysis runs, for instance, comparing an analysis performed locally to a nightly build analysis, to focus on newly-introduced coding errors. The CodeSonar Eclipse plug-in is expected to be available late this summer. Customers with a current software maintenance contract will receive it at no additional charge. GrammaTech Inc. has been selected for award on more than eight and a quarter million dollars in research contracts. GrammaTech performs sponsored research for many branches of the U.S. Government. Over its twenty-five year history, government customers have included the National Aeronautics and Space Administration (NASA), National Institute of Standards and Technology (NIST), and National Science Foundation (NSF). In the past four months, GrammaTech submitted eight proposals, six of which have been selected for funding. The remaining two are still pending. "These awards underscore the company´s continued success and the strength of our research team, which includes world-class experts in automated program analysis," said Tim Teitelbaum, GrammaTech´s CEO and Professor Emeritus in Cornell´s Computer Science Department. "We recently expanded our offices to include a branch in Madison, WI, and are aggressively growing our teams of talented computer scientists and software engineers in Ithaca, Madison, and New York City.". The results of this research are tools used by software developers around the world to find critical bugs and security vulnerabilities in their code. 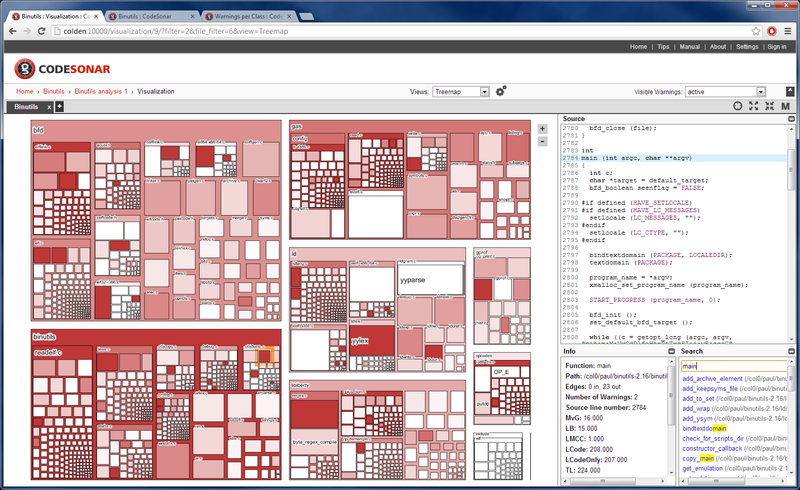 GrammaTech today unveiled new enhancements to CodeSonar´s software architecture visualization features. The newest features include a new treemap view designed to allow users to easily see the hierarchical structure of the code in a very information-dense form. The view uses colorization to show the density of defects in modules so users can easily identify the most problematic parts of the code. 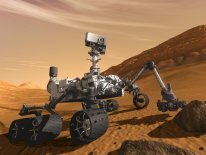 After its eight month journey, NASA´s Mars Curiosity Rover completed a spectacular landing. Due to the time required for messages to travel from Mars to Earth and back, the landing procedure was completely controlled by software. To boost the reliability of the software, NASA used advanced static analysis.